Located in the heart of the prestigious la sala grande subd. Large covered portal w/multiple arches invite you to this one-of-a-kind & unique custom hm. Striking circular great room w/12' tongue-in-groove ceiling & wood beams; centrally located w/multiple access points for an ideal entertaining traffic pattern. Incl; skylights, alder wood entertainment center & wood burning fireplace. Grand chef's kitchen; solid wood coppes napanee cabinets, deluxe pantry, 2-stoves, 3-ovens, butcher block island & a sunny breakfast nook. Spacious master ste w/two sided opty-mist frpl/humidifier, 2-walk-ins, double sink, jetted tub & separate shower. Two bedrooms w/jack & jill bath are on the other end of the home have endless possibilities; study & exercise room, craft/man-cave/multi-generational living! Upgrades abound in this former stillbrooke model home in the shadow of the sandias, just moments from hiking and biking trails. 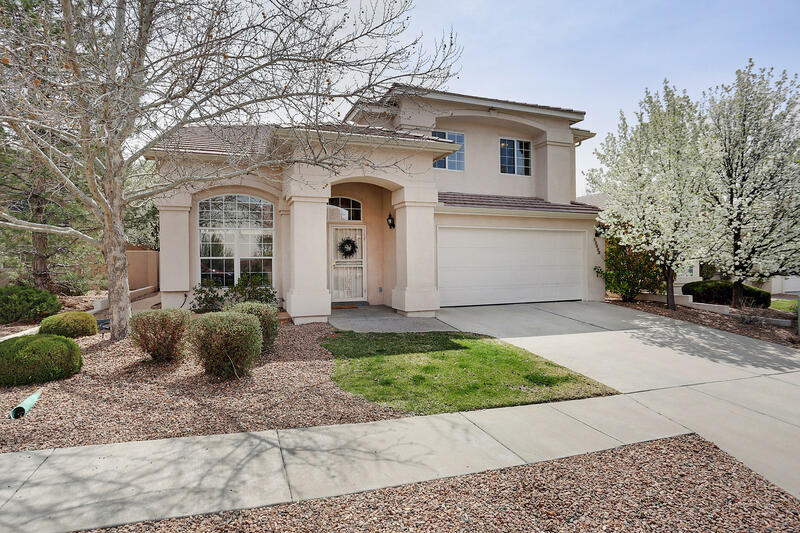 Incredibly quaint gated community, this home offers the largest lot in the subdivision with plenty of room for cookouts and family fun with its wraparound patio and fully landscaped yard. Inside you'll love the soaring entryway and family room open to second floor ceiling, stacked stone fireplace, custom shutters and tons of windows that let the light pour in. Kitchen features gorgeous granite counter tops, staggered cabinets, huge island and beautiful 16 inch ceramic tile. Upstairs make your way to the walk out deck just off the loft perfect for enjoying those amazing new mexico sunsets. Master bath with large jetted tub, separate shower and double sink vanity. Financing available for as little as 3% down. Call listing agent for details. Are you looking for incredible views? A master downstairs? A home built after 1995 with no possible lead paint issues. In the heights. With a pitched tile roof? 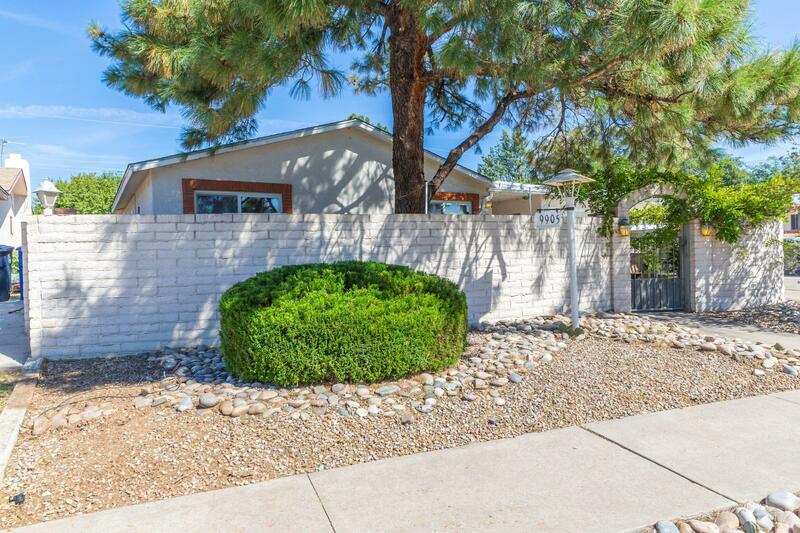 Come see this beautifully updated ralph stone home centrally located in the northeast heights. Custom cabinets, granite, kitchen aid double ovens, refrigerated air, high ceilings, custom knotty alder book cases and a fabulous deck overlooking the entire city. The home rests just 40ft. From city maintained trails leading into the sandia foothills. Just 10 minutes from uptown, winrock and coronado malls. It's all waiting for you. 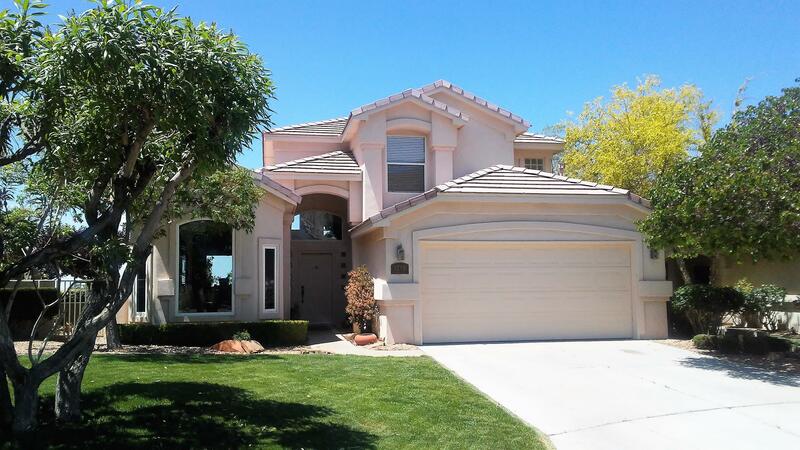 Seller willing to contribute up to $1000 for buyer's closing costs and/or pre-paids. 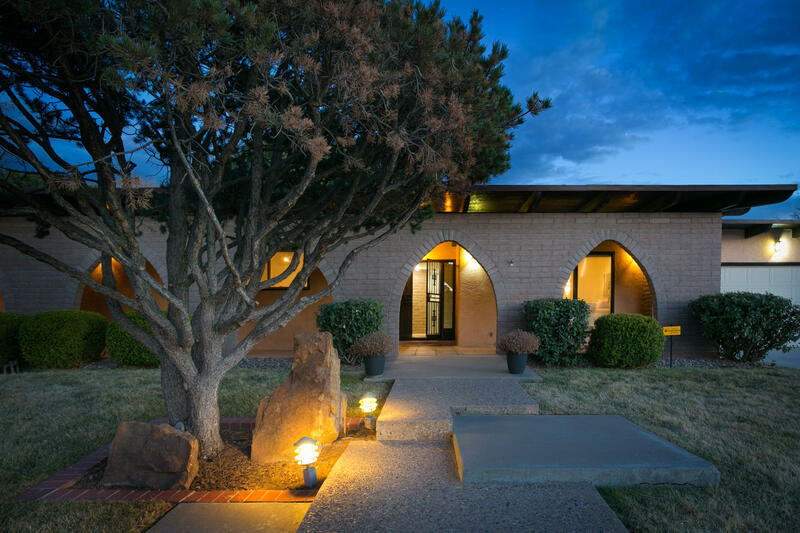 Nestled in the foothills, this stunning contemporary updated home is waiting for you. With oak wood floors throughout, & custom tile work in the bathrooms, & floating sinks, this home has all the modern touches. New refrigerated air & heat combo unit, new tpo roof & thermal, double pane windows for energy efficiency. Kitchen has new cabinets, quartz counters, & quartz stack stone backsplash, stainless steel appliances including a 5 burner stove. 2 large living rooms, one with a custom brick fireplace, & raised ceilings. Home is bright with an abundance of windows & skylights. Fully landscaped with mature trees, grass, easy maintenance graveled front yard. Back yard access. 3 blocks from lynnwood park, & easy i-40 access. Quality construction by stone with light, bright super floor plan. Soaring ceilings invite you into this wonderful living, dining area. Den is open to cozy kitchen w/ granite countertops & tumbled stone backsplash. Inside the cozy den enjoy the fireplace w/heat controlled heat. Stacked stone adds to this perfect setting for the fireplace. Downstairs enjoy ceramic tile & pergo wood floors. Up stairs brand new carpet to enhance the nice sized bedrooms. Master suite is huge. Master bath, indulge yourself w/walk in closet, garden tub, separate shower and water closet & raised countertops w/double sinks. Outside easy care landscape, all on bubblers & auto sprinklers w/ extended color concrete patio. Private back with lots of shade. Doggy door into lg. Utility w/soaking sink. Amazing one owner holiday park home. This rennovated beauty has 5 bedrooms, two living spaces, a screened porch with a fireplace. And so much more. Check out this list of updates: new roof, gutters, tile, laminate, water heater, appliances, plumbing fixtures, vanities, granite, ceiling fans. Furnace only a year old. No carpet in the whole home. Close to shopping, restaurants, schools. If you want to entertain, this home has plenty of space. Great courtyard in the backyard leads to grass area. Seriously, waste no time in checking this one out. Sure to go fast! The best of both worlds; beautifully updated home in convenient ne heights neighborhood. 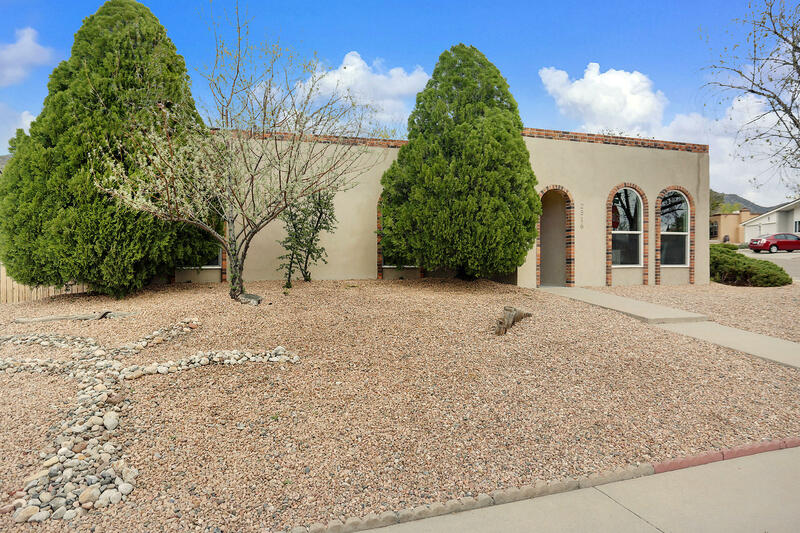 Hard to find corner lot with side yard access & stunning views of the sandia mountains. 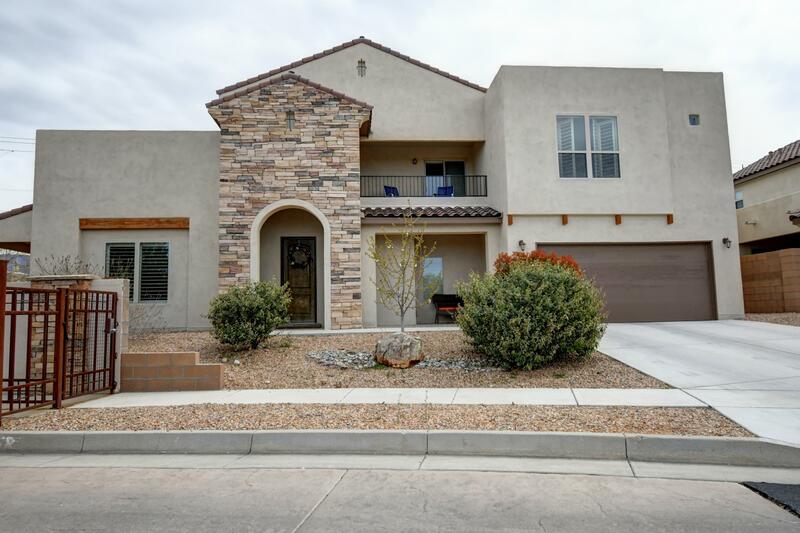 This well maintained home features 4 bedrooms + office/ 5th bedroom, 2+ living areas (one upstairs & one downstairs), all new flooring, fresh paint, fully landscaped front yard, irrigation system, and much more. Stay warm and cozy in either living area with the lovely wood burning fireplaces. Spacious country kitchen opens to the large light and bright formal dining area. All of this on nearly a quarter of an acre. Come check out this fantastic home before it's gone!! Desirable ne heights home awaits you. Four bedrooms and an office which could easily be a fifth bedroom. The home has two master bedrooms. The roughly 900 square foot master suite has a private living space, walk-in closets and newly updated master bath with shower and large tub. Large kitchen with breakfast bar on two sides and large island. Large living area, cozy dining room with fireplace. All bathrooms have been updated. Spacious bedrooms. Private courtyard entry. Don't forget to check out all the fun you can have in the backyard via french doors. New roof 2017. New water heater 2014. In 2013, a new furnace and a kitchen remodel with the sewer line also being replaced. Amenities include a water softener & newer windows (most w/ transferable warranty). Eldorado school district. A spacious home in a central location. Three bedrooms or 4 or 5 depending on how you use the rooms, two bathrooms, an office, family room with wood burning fireplace, living room, and the very large entertainment room that spans the length of the home (11x38) will all greet you when you step into this centrally located home. Master bedroom has 11x11 sitting room attached. The double car garage has been converted into a bedroom/game room, etc. Excellent space. All tile. No carpet. Sit at the bar in the kitchen area or warm yourself by the fireplace near the kitchen. Large storage shed in the back. Newly painted. Newer stucco. Near holiday park community center, garcia's kitchen, golden pride, and choice schools. Stop by and see the home! Updated! Classic brick home in holiday park. 4 br, 1. 75 bath, 2 living areas. Large 19x23 ft garage and big backyard with huge covered patio. Room on the side for a boat, small rv or trailer. 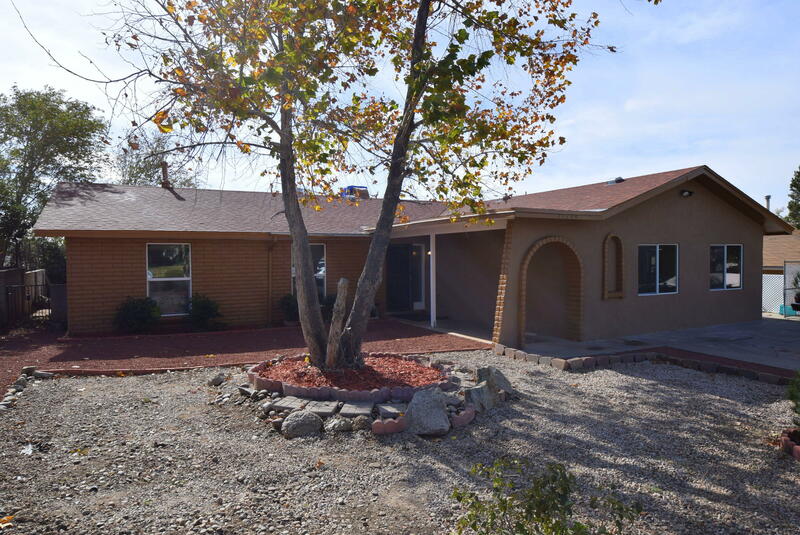 All four bedrooms have original oak wood flooring. Balance of the living areas are engineered wood. Kitchen and bathrooms are tile. Great location- walking distance to shopping, gym, and restaurants and convenient to labs and kafb. 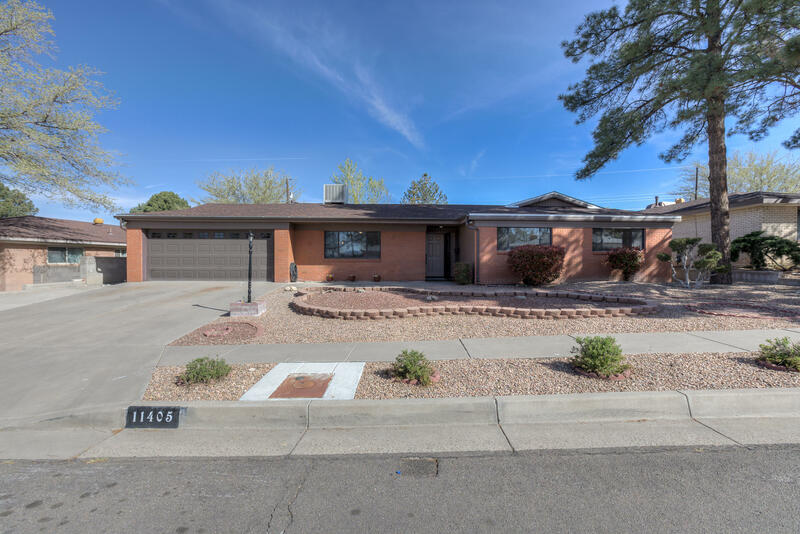 As of today, 4/20/2019 the average home price for homes for sale in Albuquerque Northeast Heights is $206,497.